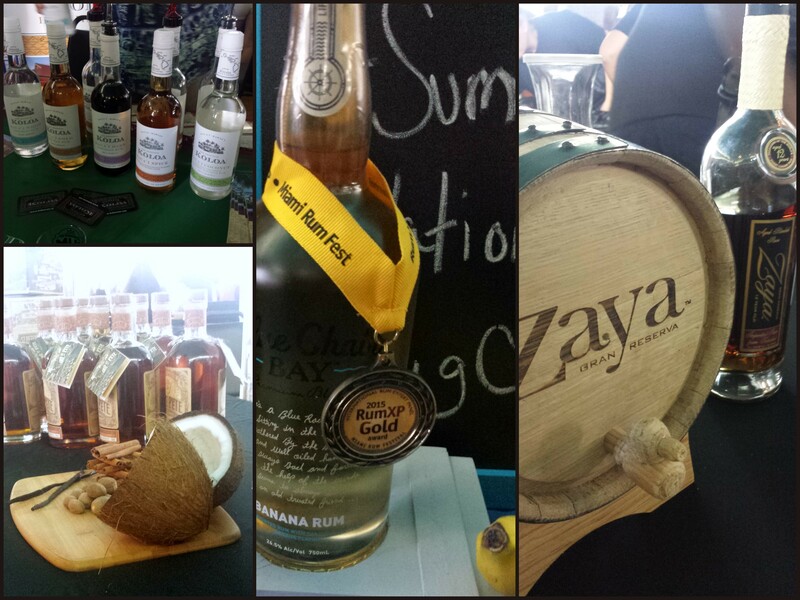 The Summer of Rum festival turned out to be everything hyped and some more. As expected. This time I learned from experience and rented a room in walking distance at the Hampton Inn & Suites in Ybor City. Definitely a good move. The place was perfect – clean, quiet and about a 5 minute walk from the Cuban Club. And of course the fact that no one has to be the designated driver after a celebration of all things rum was a plus. It’s my new go-to place to stay when I’m in the area for certain. We decided to start the evening out right and headed straight to the rum tasting upstairs. Another good move. Dang, I’m like an expert or something. At what I don’t know. Anyways, I got to try all of the rums on my list including Wicked Dolphin (who had RumShine!) 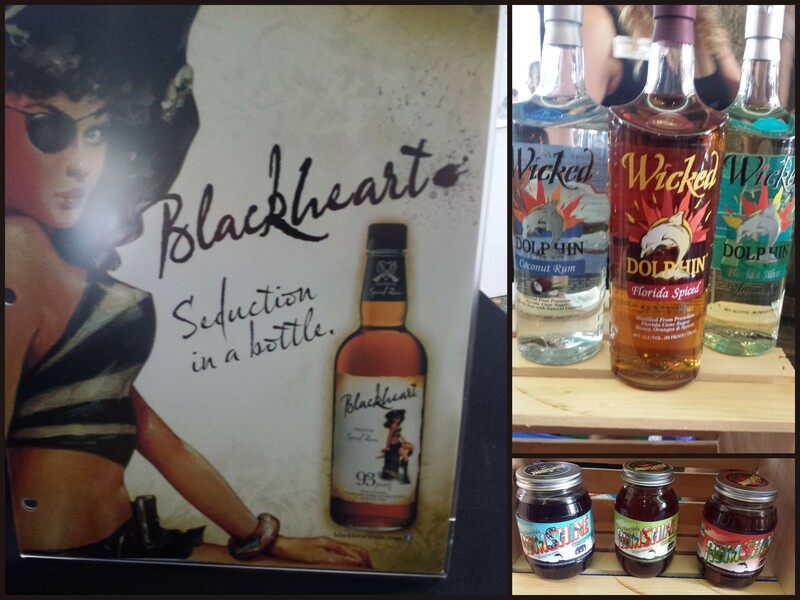 and Blackheart, obviously a rum for pirates. Blackheart was a really good spiced rum, this may be my new go-to for rum and cokes. We tried quite a few rums – enough that I forgot to keep taking pictures. 🙂 I have to admit, I had a hands down favorite. Blue Chair Bay had a banana rum that was so good it could be sipped straight out of the bottle. If you were inclined to do such a thing that is. Not commenting any further on that. 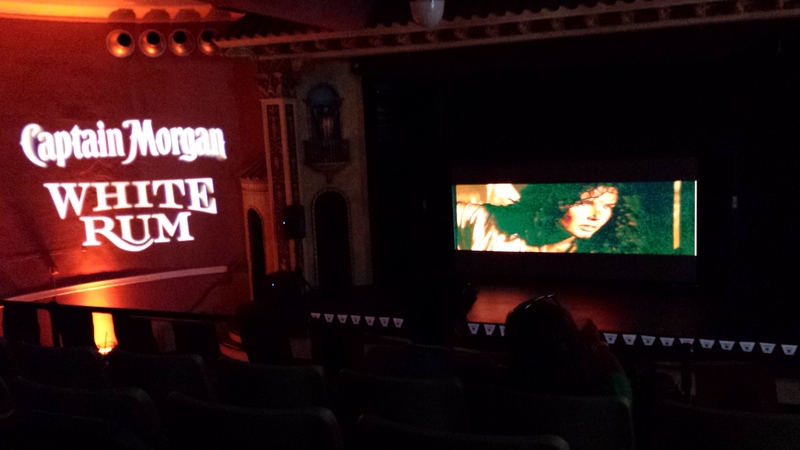 After that it was off to sit in cool comfort and watch a bit of a pirate movie. I’m always a fan of pirates. And movies I don’t have to try and stay quiet during. Win and win. By then it seemed wise to have a meal, so we walked across the way to the Spaghetti Factory. There were a bunch of really good looking food trucks, but I didn’t see anything vegetarian jump out at me. If we were going to get serious about drinking and lasting to hear all of the bands to the end a serious meal was in order. Who says carbing up is just for runners? My son and his girlfriend met us after that and we all had a great time just hanging out, listening to bands and people watching. One thing I have to say, the bartenders in the VIP tent were amazing. See how the girl’s hands are blurry in the middle picture below? That’s not bad photography, that’s how fast they were moving to keep up. And all the while everyone was cheerful and and fun. Oh yeah, and we all got pirate tatts at Captain Morgan’s place. Because when in Rome… and also when drinking rum all day. 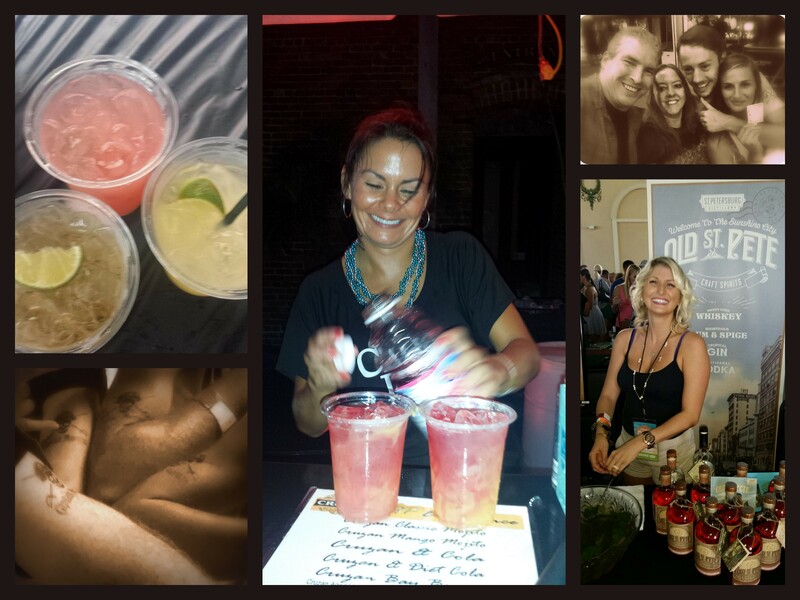 I received two VIP tickets to The Tampa Bay Rum Festival in exchange for writing a review and a giveaway. As always, my opinions are all mine. 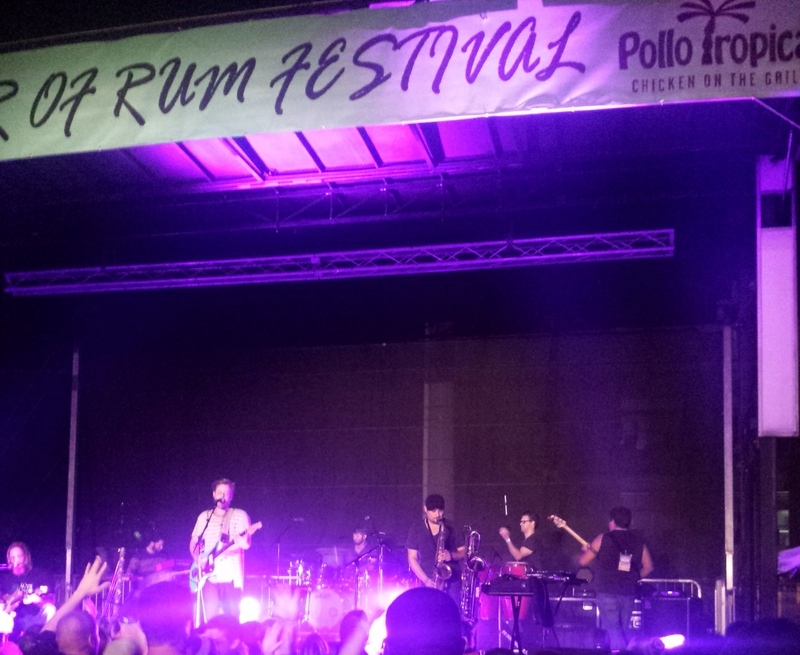 This entry was posted in Just Zennish, Review and tagged #LoveFL, Big City Events, Blackheart Rum, Blue Chair BAY, Summer of Rum, WickedDolphin by Kinda Zennish. Bookmark the permalink.